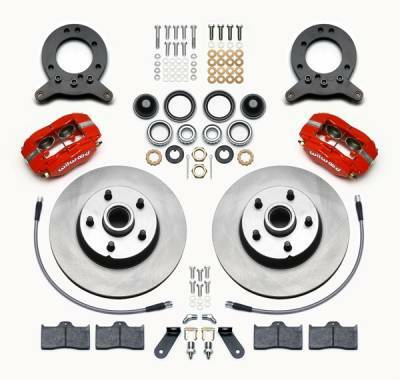 Wilwood's Classic Series conversion kits use Dynalite 4 piston calipers over factory 11" rotors to create a cost effective conversion kit with exceptional wheel clearance. These kits clear most OEM 14" wheels and the hose kit is included. Kit works with power or manual master cylinder. Includes braided stainless hose kit. Designed to fit OE factory spindles.